Monday-Thursday, 9:00am-9:00pm; Friday, 9:00am-6:00pm, Saturday, 9:00am-2:00pm. For a list of our programs click here, or view the calendar below. Please call Deep River Recreation Center for more information. 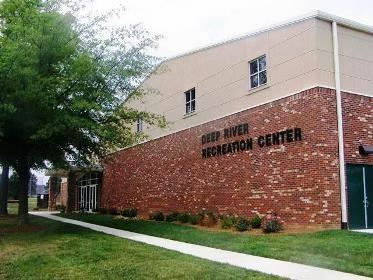 The Recreation Center is available for rentals for reunions, wedding receptions, graduation parties or any type of family gathering you may have when not in use for regular operational programs and activities. Access more information. For information on shelter rentals, please call 336-883-3469 and for athletic fields please call 336-883-3480. High Point Parks and Recreation has partnered with Go Far to provide a one mile and 5K walk/run route around the recreation center. You will see a sign at the facility outlining the routes, stretches, and healthy eating tips.